Everyone is talking about solar energy. It is the ideal power source for on board or when camping. Recharge your batteries even without a land power supply. 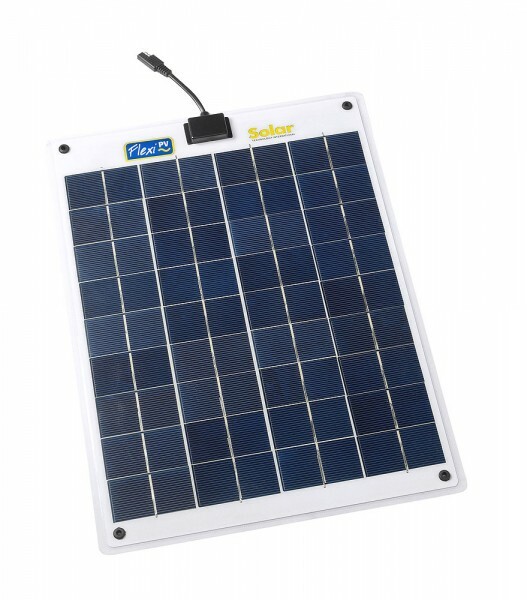 The solar modules are flexible and consist of high quality crystalline cells. Waterproof, extremely shallow and bendable up to 10%, they are also very light. Easy installation: simply screw on and connect. Up to four 20 W modules can be connected in series. The 20 W module requires a regulator while the 10 W module does not. Weiterführende Links zu "Flexible Solar Module"